When No Country for Old Men, the Coen brothers’ adaptation of the novel by Cormac McCarthy, screened at the Toronto Film Festival in September 2007, it arrived on a wave of sustained, if not unanimous, praise after its spring debut at Cannes. Variety’s Todd McCarthy called it “a scorching blast of tense genre filmmaking shot through with rich veins of melancholy, down-home philosophy and dark, dark humor.” The Hollywood Reporter, for its part, was less impressed: “Plot holes, cracker-barrel philosophizing and setting a major climactic scene offscreen serve to undo all [the Coens’] fine work.” The film, of course, went on to earn exemplary reviews when it was released theatrically in November — New York’s David Edelstein called it “a near-masterpiece” and Roger Ebert declared it “as good a film as the Coen brothers, Joel and Ethan, have ever made, and they made Fargo” — and, a few months later, it won the Oscar for Best Picture, beating out the similarly venerated There Will Be Blood. There’s one review for No Country for Old Men, however, that has always stuck with me, and it was written about the novel, not the film. In 2005, in an essay titled “Red Planet,” The New Yorker’s lead book critic, James Wood, declared Cormac McCarthy “a colossally gifted writer” but also “one of the great hams of American prose,” and dismissed his latest novel as an “an unimportant, stripped-down thriller” — there being, perhaps, no more lethal a descriptor in Wood’s arsenal than “unimportant.” The book, he wrote, “has already been sold to the producer Scott Rudin, so perhaps it is easier to think of it as a script than as a novel. That is to say, the book gestures not toward any recognizable reality but merely toward the narrative codes already established by pulp thrillers and action films. The story is itself cinematically familiar.” In Wood’s estimation, the greatest flaw of McCarthy’s novel was that it might one day make for a great movie. That it did, in fact, make for a great movie presumably only serves as confirmation of his indictment. Yet ten years later, it’s instructive to look back at No Country as a singular — and singularly successful — collaboration between novel and film. No Country is not McCarthy’s best novel. (I say this as a fan.) And No Country, the movie, is not the Coen brothers’ best film. (I say this as a superfan.) Yet the sum of these two parts, once conjoined, stands as arguably the most successful collaboration in film history — and a telling testament to the difference between how genre stories are regarded when presented on the page and on the screen. 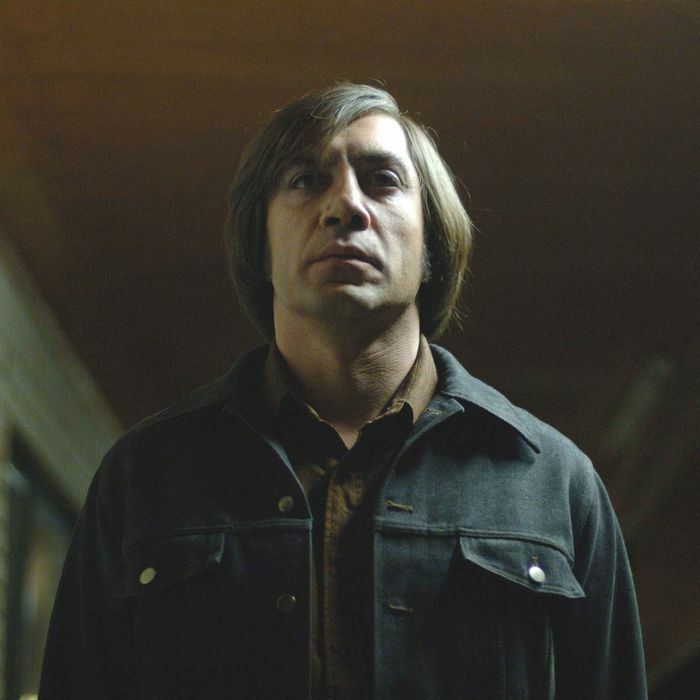 It’s important to consider the critical reception of No Country for Old Men — both the novel and the film — in order to understand the difference between what constitutes success in the two mediums. No one, for example, regardless of their other feelings about the film, would be tempted to dismiss the Coen brothers’ film as “unimportant.” Film critics have long held a more agnostic attitude toward genre than do literary critics, as evidenced by the often divergent reputations of novels and the films they were turned into. Whatever you think of The Maltese Falcon, on paper, it’s inarguable that it’s had to earn its literary bona fides despite the fact that it’s a mystery novel. The film adaptation, by John Huston, faces no such obstacles from even the fustiest of critics. To a stridently traditionalist literary critic like Wood, or the many who share his distaste for novels they deem overly cinematic — a word that, in literary criticism, is nearly always used pejoratively — No Country’s basic crime is that it reads like a movie. Which, to Wood, means it adheres to, or is at least actively cognizant of, the conventions of its own genre. And it’s true — the skeleton of the tale is a familiar one, sun-bleached in the desert of Western noir. Man finds a bag of ill-begotten money. Man takes the money. Man runs. McCarthy even sets a relentless, remorseless killer on the man’s tail, another shopworn development. McCarthy — while famously not prone to public pronouncements on the meaning or motives of his work — might argue that he’s interrogating these conventions, rather than simply recycling them. He’s asking you to consider their appeal, even as he exploits that appeal. This is what the best genre novels do. McCarthy’s previous novels, up to and including his 1985 masterpiece Blood Meridian, are all similarly interested in the uses and abuses of collectively held mythology, i.e. genre stories. In short: What happens to us — as individuals, as readers, as a society — when we come to worship a story? No Country for Old Men contains McCarthy’s usual preoccupations: the implacability of fate; the depths of our darker human tendencies; and how we chart (or don’t) a moral path in a lawless landscape under the specter of death. All of these, too, are familiar to readers of both genre novels and more self-consciously literary ones. So Wood’s assessment of No Country as an “unimportant” thriller, taken in the context of McCarthy’s body of work, is harsh but not entirely unfair or indefensible. McCarthy has done this better elsewhere. But when No Country is considered as the result of a particular exercise — to graft the flesh of his novelistic obsessions onto the skeleton of a genre story line — No Country is entirely successful, even masterful, in achieving what it’s designed to do. More than that, Wood’s main criticism raises an obvious question — one that Wood wasn’t in a position to address, given he was writing before the existence of the film adaptation which he preemptively derided. The question is this: If the book is unimportant, how then did it yield such a masterpiece on film? Especially one that’s considered to be unusually faithful to its source material (right down to that controversial ending, which bucks all the usual conventions of movie storytelling)? What was the alchemy of this particular collaboration? Bad books becoming good movies is not only not unprecedented, it’s practically a Hollywood sub-genre, the most well-worn example being The Godfather, a sprawling pulp novel by Mario Puzo that Francis Ford Coppola fashioned into a cinematic treatise on the American Dream. But No Country is not a bad novel — it’s simply a singular one that was turned into a singular film. For that to happen, it needed very particular creative custodians. Thankfully, it found them — in the persons of the Coen brothers, perhaps the most particular American filmmakers working today. Recall just where the Coens’ reputation lay in early 2007. They’d made an Oscar-nominated tour de force, Fargo, ten years earlier, which, to my mind, still stands as their greatest film. Fargo had rescued them, at least temporarily, from the recurring criticism that they were little more than emotionally standoffish, terminally quirky stylists responsible for such hard-to-classify curios as The Hudsucker Proxy and Miller’s Crossing. They followed Fargo, however, with five films that rapidly, if not intentionally, undercut that newfound critical esteem. There was the now-cult-hit but coolly received The Big Lebowski (speaking of curios), well-crafted oddities (again, I’m referring here to their contemporaneous critical reception) like O Brother, Where Are Thou? and The Man Who Wasn’t There, and two underloved and underbaked comedies, Intolerable Cruelty and The Ladykillers — the last two representing the wobbliest back-to-back release of material that the Coens have ever produced. Then, ten years ago, they released No Country. It was famously the first film they’d ever made that was based on someone else’s material. They won an Oscar, and what followed was an astonishing bender of excellence: Burn After Reading in 2008 — a kind of palate cleanser that seems newly relevant in these troubled political times — A Serious Man in 2009, True Grit in 2010, and Inside Llewyn Davis in 2013. Any of those last three films could have won Best Picture; two of them were nominated. A Serious Man may ultimately stand as the Coens’ most personal and complex film. If the Academy had not officially crowned the Coens a few years previously, I’m fairly certain True Grit would have won Best Picture in 2011. It lost to The King’s Speech, as forgotten a Best Picture winner as you’ll find in this century. No Country was clearly a turning point for the Coens. In some ways, the directors and their material was an obvious pairing. No Country feels like the spiritual sibling of their first film, the laconic, blood-saturated prairie-noir Blood Simple, which features it’s own proto-Chigurh in the person of a private detective played by M. Emmet Walsh. Yet while there are certain aesthetic overlaps — especially in hindsight — the Coens were not obvious interpreters of McCarthy’s work at the time. But they were, as it turned out, perfect ones. The Coens have often been characterized by a supposed ironic detachment (even Fargo was lambasted by some for casting a mocking eye on the funny-talkin’ Minnesotans). McCarthy is anything but ironic or detached. (The only thing detached in his novels are heads.) McCarthy’s characters are prone to grave disquisitions about war and blood and fate and the tendencies of man. Yet these sensibilities turned out to complement each other in ways few might have foreseen. McCarthy’s ruminations about fate lent a philosophical gravity to the Coens that films like The Ladykillers lacked. And the Coens’ technical mastery, deader-than-deadpan humor, and impeccable eye for casting leavened the portentousness of the novel’s most McCarthy-esque profundities. The film contains lines of rueful humor — as when Sheriff Ed Tom Bell, in response to a question about whether the on-the-run Llewellyn Moss knows exactly what kind of trouble he’s in, replies, “He ought to. He’s seen the same things I’ve seen, and it’s certainly made an impression on me” — that are such impeccable Coenisms that it’s amazing they’re drawn verbatim from the novel. If you truly want to understand what a fortuitous melding of sensibilities this film turned out to be, you need only look at a more recent McCarthy-penned movie, with a far less successful result. Ridley Scott is a legendary director, one of the few — along with the Coens — who might rightly be called a visionary. His film, The Counselor, based on McCarthy’s original screenplay, is a kind of fascinating disaster. Scott’s penchant for sleek visuals and soulless characters, deployed here in the service of McCarthy’s baroque allegorical posturing, together result in a film so slick that nothing sticks. (I say this as a fan.) The effect is like watching a preacher deliver a fire-and-brimstone sermon from the hood of a brand-new sports car, with a jaguar at his heels. It’s impossible to watch The Counselor without wishing the Coens had got their hands on it. It’s probably unfair, and short-sighted, to handcuff the Coens to McCarthy forever. But this unlikely pairing, for one film at least, turned into one of cinema’s most mutually beneficial collaborations. In part, this is due to an expert pairing of talent, for which at least some credit is due to the producer Scott Rudin. (He also recruited the Coens to direct an adaptation of Michal Chabon’s The Yiddish Policemen’s Union, which is unlikely to ever materialize, yet I still wait faithfully for it like Linus awaiting the Great Pumpkin.) But in part it illuminates the difference between how genre novels and films are received. In McCarthy’s novel, a critic like Wood could only see the creaky mechanisms of genre fiction — and couldn’t imagine how they might be employed in the service of some greater enterprise. The Coens, however, could, and did. The directors were no strangers to the delights of genre — nearly every one of their films is a riff on an existing style of filmmaking, whether noir, screwball comedy, or the Western. They have a long and distinguished track record of taking the conventions of genre and repurposing them to their own mad designs. In McCarthy’s novel, at least, they recognized a fellow traveler, engaged in a similar experiment. As a novelist, McCarthy was punished for doing this, but as filmmakers, the Coens were rightly celebrated. Thankfully, they found each other and collaborated on this one, ideal project, where their mutual obsessions and predilections were splendidly, if briefly, aligned. Adam Sternbergh’s new novel, The Blinds, is out now.